APRIL'S FOOL DAY ANNOUCEMENT...But we are not fooling around! 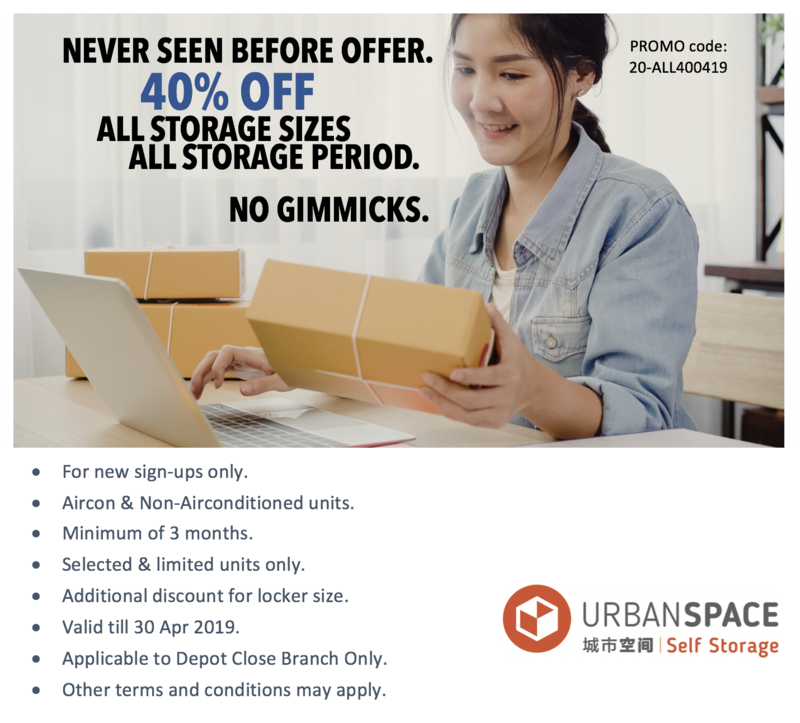 Check out our promotion for April 2019. 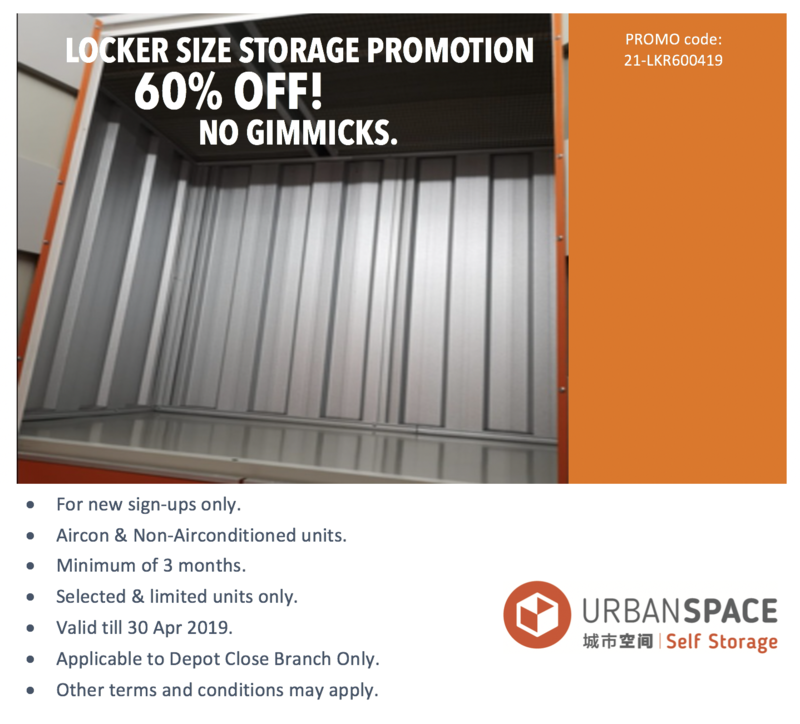 Email to contact@urbanspace.com.sg with subject “RESERVATION” and enjoy additional discount for all available storage space and period. Limited reservation code will be issued. Hurry, make a RESERVATION now!